» What is Internet Marketing? » So how do people find my site? » What is Search Engine Optimization? » What is Search Engine Submission? » Is there any difference between a search engine and a directory? » How does a search engine find my site? » How does Search Engine Marketing improve my e-business? » I’m not really tecno-savvy, so where do I even start? » Do you use site optimization software? » My site has a PR3 even after optimization. Any suggestions? » Do we have to sign a contract? » Do you offer payment plans? The Internet has become the fastest growing sector for commercial enterprise. Thousands of businesses, selling good and services, now have a presence on the web. Internet marketing employs an array of tools and a huge amount of constantly changing data to design and promote a web site — yours for instance. It’s not enough to have a well-designed, engaging site. If people don’t know you exist, your site won’t be profitable. So, just as Madison Ave developed and employed the methodology of traditional TV and print advertising, Internet Marketing professionals use a different tool set to analyze and improve your site’s visibility on the Internet. So how do people find my site? The basic component of internet marketing is Search Engine Optimization or SEO for short. People are most likely to find your site by typing in a query (tennis shoes) into a well-known search engine (Google) and finding your sporting goods store among the listings. Another way people find your site is by way of links from other, related sites. Thus, the development of an inbound link network is extremely important. When a user types, “snow blowers’ into the Google (Or Yahoo, Lycos, etc.) search box, up pops 128 pages of listings related to the snow blower query. However, only the first page or two are actually used by most people, and certainly, no one is going to find your snow blower store, fifth down from the top on page 93. Search engine optimization has one purpose — to move your site up in PageRank (PR), in other words, move your site from page 93 to page 1 (the ultimate goal) using design and structural elements that are search engine-friendly. There are free search engines, like Google, and fee-based SEs like Yahoo. In either case, you have to let these search engines know you’re out there in cyberspace so you start to show up on some SERPs — search engine results pages — the pages you see after typing in a key word or phrase. The way you notify search engines that you exist is by submitting key words — words that potential customers might use to find a site like yours. Getting noticed and then incorporated into the www can take 2 to 12 weeks. It’s a process in which patience is a virtue. Is there any difference between a search engine and a directory? A world of difference. With an SE, your site address, a brief description of your site and a link are delivered to a potential customer based on the relevance of your site to the user’s query. It’s a function of high-level mathematics, actually. A directory is set up by a human; it’s a list if links, often organized by category, open for view. So, the potential buyer must find you through the directory rather than you finding the potential customer by way of a search. How does a search engine find my site? Each search engine is unique, using its own set of top secret, weighted criteria to evaluate each site for relevance to the user’s keyword search. However, all search engines give due consideration to things like key word placement, key word density, the number and quality of inbound links and other factors that demonstrate that your site is: (1) relevant to the query; and (2) a site that delivers quality to the user. It’s no longer only how many times you can work the words ‘snow blower’ into your web text anymore. SEs have become much more sophisticated at sniffing out quality sites for their users to keep those users coming back. In general, search engines can find you through directory-based sites such as Yahoo or the Open Directory Project (DMOZ). Listing on free sites will also get you picked up by other sites, though it’s a long process to do it that way. Ever hear of a Crawler? Well, it’s SE software that pulls up individual pages from your site looking for certain keywords in certain locations. Google uses crawler software and so does Alta Vista. Once you register with an SE, it takes a while to get ‘spidered’ in, but an SE that employs crawler technology will find your site and you want that site ‘search engine optimized’ when that crawler comes visiting so it can let the SE know that yours is a quality, relevant site. There are other ways to get SE buzz growing — using pay-per click (PPC) sites, meta search engines (a long story), private search engines, association and industry SEs — there are lots of ways to get your site spidered in and in business. How does Search Engine Marketing improve my e-business? Where to begin? SEM brings quality, ready-to-buy or learn or whatever, to your site. It enables you to quantify site revenues. You can lower your marketing costs and actually start making money on outbound links from your site. If you’re looking to increase membership, SEM gets the most likely members to look in on your site. Selling goods, services or ideas, SEM brings more traffic to your site — bottom line. I’m not really tecno-savvy, so where do I even start? W3 EDGE is called a ‘one-stop shop’ where you’ll find affordable solutions to virtually every e-commerce-related headache known to exist. Our goal is to make your problem our problem and our solution your solution. Simple. Do you use site optimization software? Yes, primarily during the analysis phase of the project. We use tools that enable us to see your site as a web crawler sees it, identify problem areas and offer solutions. We use other tools that measure the effectiveness of your keywords, alternative keywords, etc. These optimization tools allow us to quickly, efficiently and with specificity analyze your site top down and everything in between. After that, the humans take over and creative, custom solutions become the objective. My site has a PR3 even after optimization. Any suggestions? Yes. be patient. It can take up to four months to notice the impact of optimization. An even better way to measure success is your bottom line. Even if your site has a low PR, if the quality of visitors produces a 75% conversion rate, you can smile all the way to the bank. And, optimization doesn’t just happen one time. It’s not a final goal, it’s a process of constant refinement. 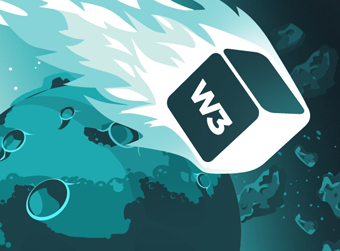 W3 EDGE employs the latest, ethical and legal technology to optimize your site and to update it as optimization parameters change, which they do almost daily. You should want to sign a contract. It protects you, as well. Our standard contract (nothing fancy) simply describes the work that will be performed, production milestones, payment schedule and delivery dates. A contract gets all of us started on the same page and working toward the same goals. Not as such. One-third of the total is due when we sign a contract, one-third is due when you approve all site components and marketing reports and the final third is due when your site is on-line and optimized. However, terms are flexible depending on the nature of the project and the client’s past history with W3 EDGE.